1) Everyone who will find first paragraphs of the below article interesting, please, read it CAREFULLY and TILL THE END! 2) Added video CANNOT BE CONSIDERED SEPARATELY FROM THIS ARTICLE! 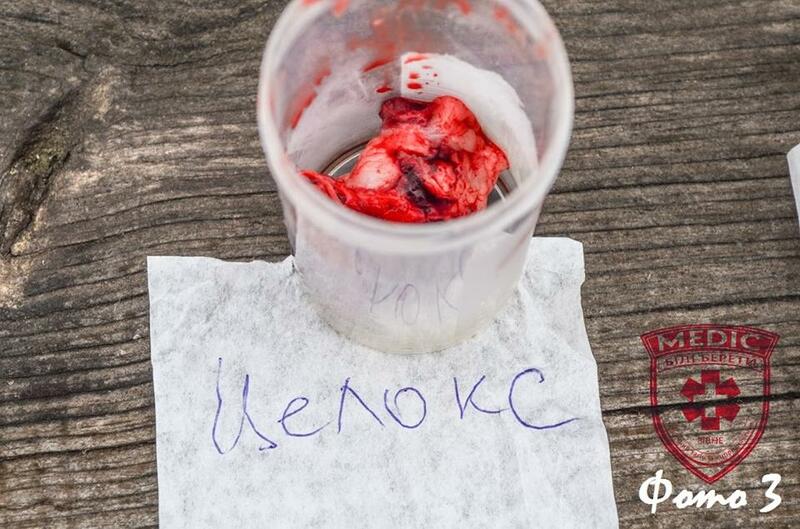 Yurii Tarasiuk, vascular surgeon and instructor at NGO “White Berets – Rivne”: “This video and article are the result of phase II of the study – in vivo. It became possible with the assistance ofYRiA-PHARM. Without any bias, let me note that the company showed a great interest to this experimentwith no reservation, especially with regard to the comparison! 2) this information (article) is meant for those who know the subject. So we only highlight key and discussable moments! Step 1. Our anaesthesiologist putthe animal under anaesthesia (medication sleep with relief from painful sensations). Step 2. By a sharp dissection (scalpel), it (the animal) was one-by-one inflicted wounds with damage to the iliac and carotid arteries with subsequent bleeding controlby means ofone or another haemostatic (signed on the video). Both immediate (effectiveness of the haemostasis) and long-term results (influence of products (local haemostatics) on the tissues they were in contact with)were evaluated: vascular wall, nerve, soft tissues (histological examination). Step 3.Sampling of products for histological examination. Step 4. Histological examination of products. Modelling of the effect(contact) of local haemostatics on the tissues in laboratory setting (intact tissues were taken). Step 5.Developingof the final conclusions and a further study design. Conclusion 1. As it can be clearly seen when observing the work with the 1st and 2nd wounds, powder haemostatics are NOT effective for CRITICAL BLEEDING control! Their INefficiency is not caused by the lack of direct effect, i.e. formation of ablood clot (thrombus), but by physical factors, namely immediate washing from the wound by the flow of blood. Therefore, the use of powder haemostatics in the conditions of hostilities and their inclusion into the military first aid kits is definitelyNOT reasonable! They may and should be used for healthcare delivery in case of NON-critical bleedings in civilian settings as well asincluded into civilian (car, travel, office, etc.) first aid kits. IMPORTANT! As to prevent discredit of the domestic product Revul manufactured byYURiA-PHARM, it should be emphasized that blood pressure and the intensity of bleeding from the wound for which Revul was used were higher than in the wound to which CELOX was applied. Representatives of the company took this step consciously! Conclusion 2. Formation of a blood clot under the effectof powder haemostatics requires time, AT LEAST 3-5 minutes, as it isindicatedin the Patient information leaflet. Conclusion 3. CELOX powder induces clot formation faster, but, as it was shown during the phase I of the study, the clot inducedby Revul powder is more stable and similar to the natural one. Conclusion 4. TIGHT TAMPONADE OF THE WOUND is INCOMPARABLY (MUCH) MORE IMPORTANT than the use of any powder haemostatics!!! Ideally, with direct pressure applied on the site of the vessel injury (in the 1st wound, the artery was completely cut, shrunk and hid in the musculofascial channel that made creation of the direct pressure on it impossible. And tight tamponade could not have been made because of the size of the wound. Therefore, on the 17th minute, the bleeding was NOT critical but still continued. Conclusion 5. It is much more convenient when the material (gauze) for tamponade is not rolled up but zigzag folded in the shape of a letter Z. This saves a lot of time and prevents from additional infection of the material. Conclusion 6. Effective tamponing of the wound requires (takes) a LARGE (I would say huge) amount of material (dressing, gauze). Therefore, 1-2 gauzes in the military first aid kit is nothing! Conclusion 7. The situation described in the conclusion No. 4, gives a clear understanding of one of the main reasons why tourniquet must be applied to the injured limb as high as possible, and not just above the wound! Results of histological examination of products and final conclusions. 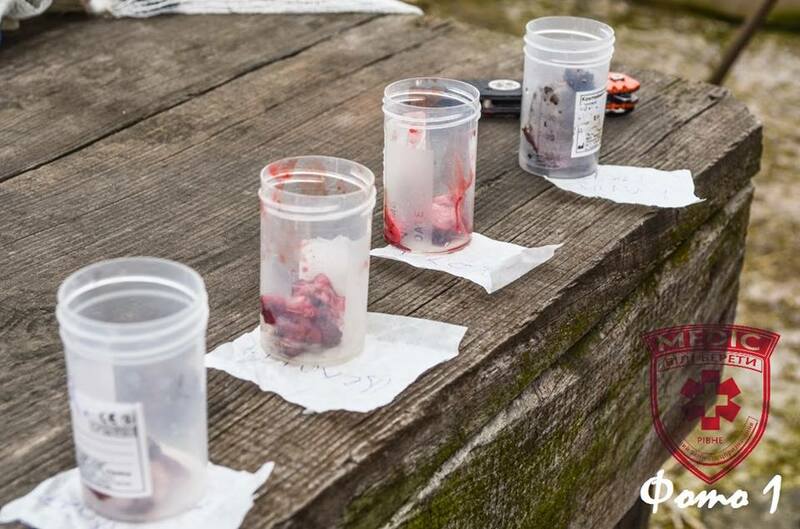 1) As it has already been mentioned before, during the experiment on animal (modelling of critical bleeding and its control), for further histological examination (Step 3 of the Protocol), we took gross specimens of soft tissues, i.e. pieces of blood vessels (artery and vein), nerves and muscles that were in direct contact with local hemostatics (Picture 1). Here are the results of histological examination (Step 4 of the Protocol) conducted by Olha Lishchuk, a highly qualified histologist with experience in forensic examination, and her team. The results of pathohistological examination of the pig’s tissues taken from the wound surfaces (bleeding from great vessels) under the effectof local haemostatics (REVUL, CELOX, Quikclot Combat Gauze, Caproferr). The technique of preparing classic permanent histological specimen was used. Specimens were stained using hematoxylin and eosin (H&E). Fragments of vessels and soft tissues are elastic, withshiny surface and of natural colour (Picture 2). In the presented material we can see: medium-sized vein wall, part of a medium-sized artery, striated muscle, and nerve fibre; there is an intra- and circumvascular blood coagulation with haemolysis (destruction of erythrocytes) and focal deposition of brown pigment (haemosiderin, a pigment formed during destruction of haemoglobin). Perivascular (circumvascular) adhesion (“sticking”) of erythrocytes with partial haemolysis is detected in vessels of microcirculatory bloodstream. Intima (inner coat) of vessels and middle (muscular) coat are preserved, there is aggregation (sedimentation) of blood cells on adventitia (outer coat). There is hemorrhagic infiltration (bleedings)in adipose tissue. Striated muscle and nerve fibre are without structural changes. Fragments of vessels and soft tissues are elastic, withshiny surface and of natural colour (Picture 3). In the presented material we can see walls of an artery and a small-sized vein with massive outer wall adhesion of blood cells with small areas of haemolysis and small aggregation of erythrocytes on the inner wall. There is hypochromia of nuclei and small fragmentation of muscular fibresin striated muscle. Nerve fibre is without structural changes. Fragments of vessels and soft tissues are elastic, withshiny surface and ofnatural colour (Picture 4). In the presented material we can see a vein and two small-sized arteries whose wall structure has remained completely intact. There is a massive haemorrhagic imbibition (soaking with blood) without signs of haemolysis in perivascular adipose tissue.There is no deposition of a brown pigment. Striated muscle, nerve fibre andsalivary gland tissue are without structural changes. Fragments of soft tissue are dense, rigid (solid), have dark brown colour on the surface (Picture 5). In the presented material we can see two arteries and a small-sized vein with coagulation necrosis of an outer wall. Perivascularly, there is a haemorrhagic imbibition with massive haemolysis and significant deposition of brown pigment (haemosiderin). In striated muscle, there is a focal coagulation necrosis. Connective tissue and nerve fibre are without structural changes. Macroscopically, the trombus is dense, dry, microscopically, red thrombus is with deposition of a brown pigment (haemosiderin). Results of pathohistological examination of tissue pieces taken from the wound surface during the effectof the above local hemostatics show that products REVUL, CELOX, Quikclot Combat Gauze have sorption action, and do not lead to coagulation of proteins, significant structural changes in tissues (do not destroy cells). Caproferr’s effectleads to formation of a thick brown blood clot, haemolysis of erythrocytes, formation of haemosiderin, structural changes in tissues, destruction of cells. Step 5 of the Protocol. Developingof the final conclusions. Conclusion 1. Powder haemostatics are NOT effective for CRITICAL BLEEDING control! Their INefficiency is not caused by the lack of direct action, i.e. formation of a blood clot (thrombus), but by physical factors, namely immediate washing from the wound by the flow of blood. Therefore, the use of powder haemostatics in the conditions of hostilities and their inclusion into the military first aid kits is definitely NOT reasonable! 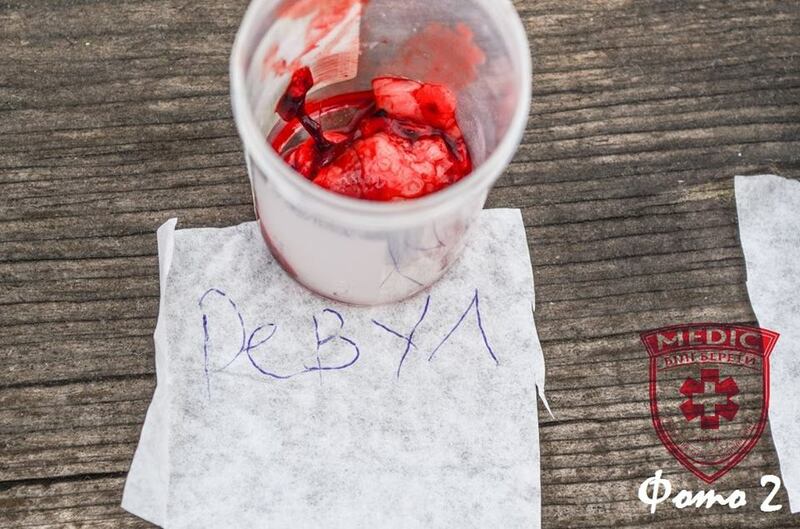 They may and should be used for healthcare delivery in case of NON-critical bleedings in civilian settings as well as included into civilian (car, travel, office, etc.) first aid kits. Conclusion 2. Formation of a blood clot under the effectof powder haemostatics requires time, AT LEAST 3-5 minutes, as it is indicatedin the Patient information leaflet. Conclusion 3. CELOX powder inducesclot formation faster, but, as was shown during the phase I of the study, the clot inducedby Revul powder is more stable and similar to the natural one. Conclusion 4. TIGHT TAMPONADE OF THE WOUND is INCOMPARABLY (MUCH) MORE IMPORTANT than the use of any powder haemostatics!!! Ideally, with direct pressure applied to the site of the vessel injury! Conclusion 5. It is much more convenient when the material (gauze) for tamponade is not rolled up but zigzag folded in the shape of a letter Z. Conclusion 6. Effective tamponing of the wound requires a LARGE amount of material (dressing, gauze)! Conclusion 7. The most economical in terms of impact on the soft tissues, i.e. blood vessels, nerves, muscles, is Quikclot Combat Gauze. Powder haemostatics CELOX and Revul cause minimal changes in these tissues when in contact with them and should NOT increase the amount of secondary surgical debridement and rehabilitation prognosis in the future. The solution CAPROFERR stops any bleeding very effectively. HOWEVER, it causes coagulation necrosis of vessels and muscles which in the future will significantly increase the amount of secondary surgical debridement and will make prosthetics and rehabilitation of the function of the injured limb more complicated! Note. I showed the results of this study (video, pictures, histological) to Ihor Ivanovych Kobza, professor, MD, vascular surgeon, organ transplant surgeon, representative of Ukraine in the management of IUA (International Union of Angiology), and a group of 10 vascular surgeons from different regions of Ukraine (all with many years of experience). Their conclusion was exactly the same as the paragraph written above! So, I’M ASKING ALL VOLUNTEERS WHO ARE ENGAGED IN THE MANUFACTURE AND (OR) DISTRIBUTION OF THIS SOLUTION TO TAKE THIS INFORMATION INTO CONSIDERATION! ALSO PLEASE NOTE THAT THIS ACTIVITY HAS TWO ASPECTS: MORAL (DESCRIBED ABOVE) AND LEGAL AS THIS PRODUCT DOES NOT EVEN HAVE STATE REGISTRATION! 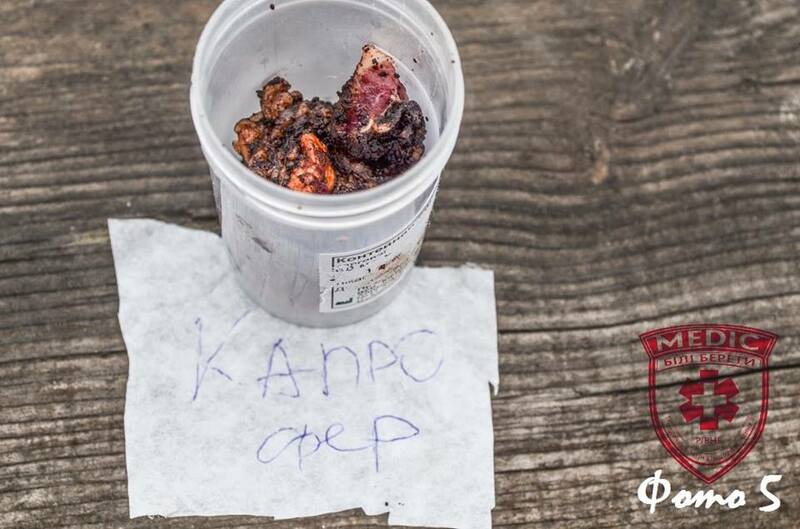 The possibility of using CAPROFERR to stop bleedings in case of traumatic amputation of a limb requires further study as massive haemolysis and necrosis of soft tissues caused by its action on large areas (for example, amputation of a leg) may cause further endogenous intoxication syndrome and renal failure in the injured person! Author: Yiurii Tarasiuk, vascular surgeon and instructor at NGO “White Berets – Rivne”. 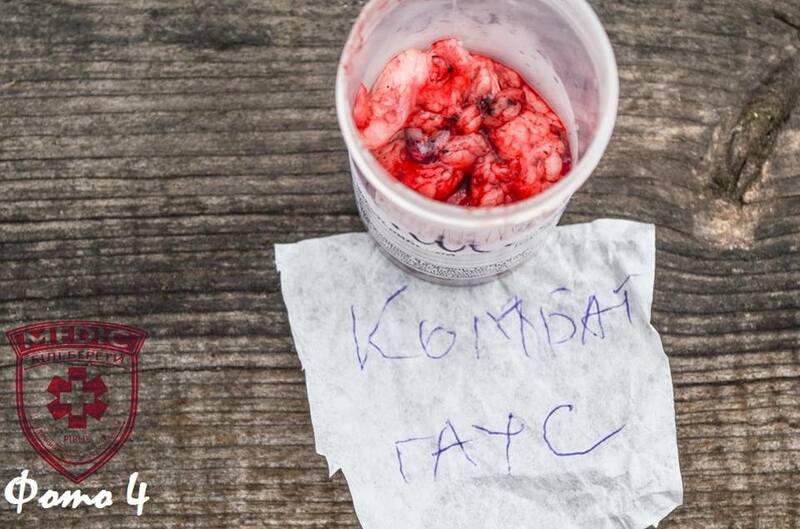 1 part:https://www.facebook.com/groups/white.berets.rivne/permalink/1698041090451915/ (від 1 квітня 2016 р.). 2 part:https://www.facebook.com/groups/white.berets.rivne/permalink/1702118560044168/ (від 12 квітня 2016 р. ).